It’s a night for Mary’s Magical Place! Join us Friday evening, June 10th for a special Barre Boot Camp (5:45 pm) and Buti Yoga class (7:15 pm) to benefit Mary’s Magical Place! Classes may fill up fast so reserve your space right away! If you prefer to pay with cash or a check, please register in advance inside the studio. 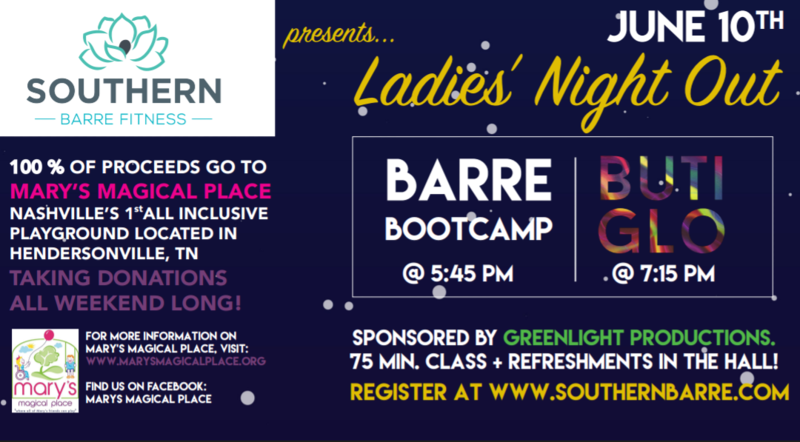 If the class you want to attend is full, please email the studio at southernbarre@gmail.com to be added to the waitlist.